This month Twitter and Facebook kicked off two major search initiatives that show they are both ready and willing to join the era of multimedia personalized search. Taking a cue from Google’s Universal mixed search, at the top of the month Twitter began rolling out an updated Web search bar that includes a filterable mix of tweet content, people, and relevant photos. 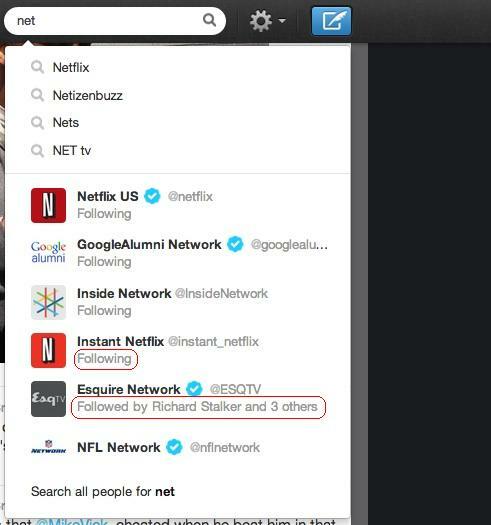 The search box experience is also upgraded, and now includes past and saved searches as well as relevant people suggestions with what Twitter calls “social context” outlining the follow relationship between the suggested person, the searcher, and the searcher’s connections right in the drop-down. Twitter announced the limited release of the new Web search functionality (appropriately) via Tweet on August 1 and used their 140 characters to mention functionality, but did not mention exactly when all users should expect to see the new functionality show up in their accounts. The big news in Facebook search is the full-scale release of Graph Search to all users accessing Facebook in US English. 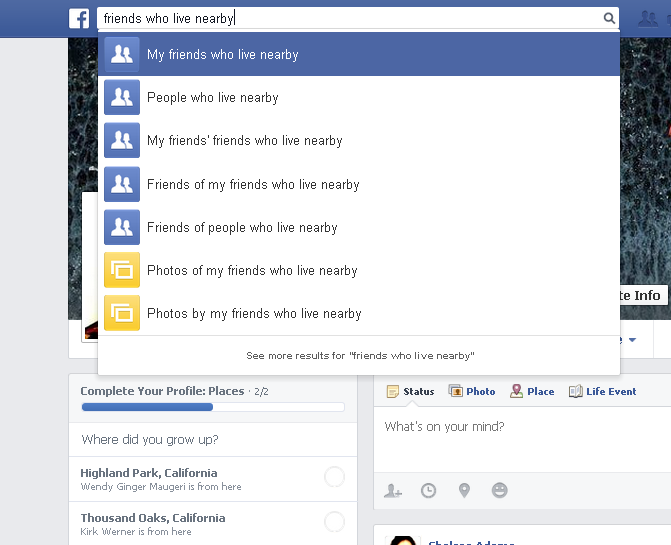 In the formal announcement (posted August 7), Facebook uses words like “discover,” “explore,” and “revisit” to describe the new functionality of Graph Search, and suggests that searchers use conversational phrases, like “my friends who live in my city,” to find specific things. 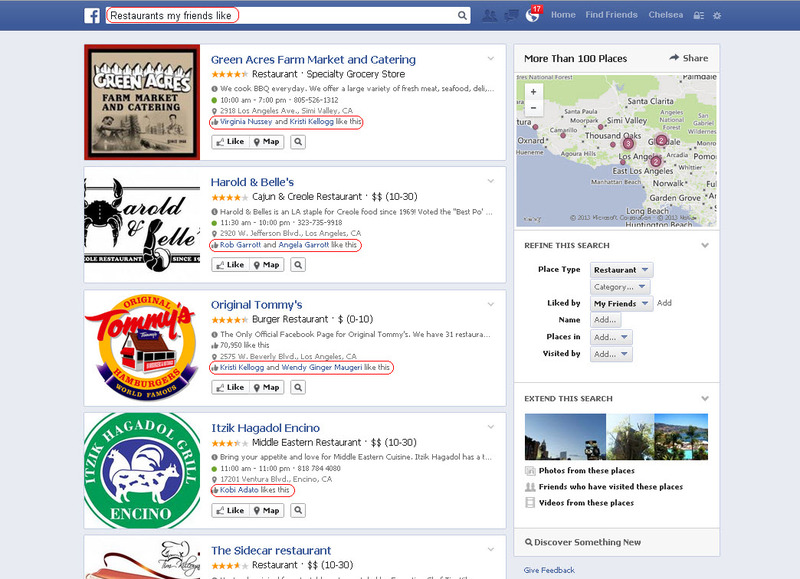 Facebook encourages searchers to search the Open Graph with conversational phrases like “restaurants my friends like” to see relevant search results based on the preferences of their community. 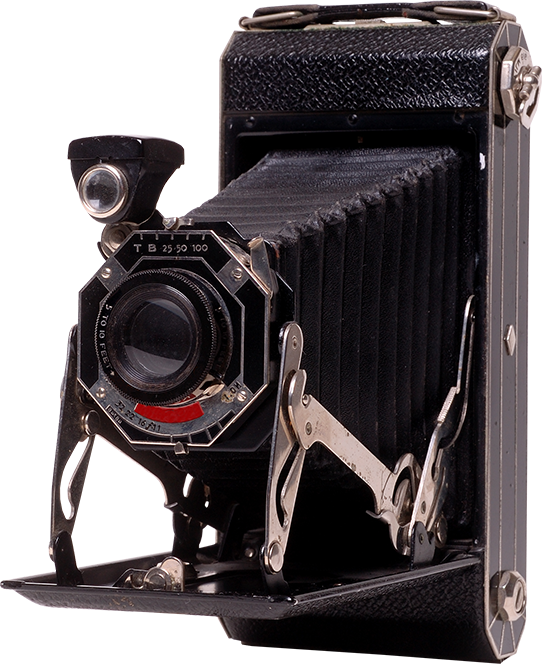 Both the new Facebook and Twitter search experiences emphasize making new connections, and are deeply rooted in returning visual results based on social history and the activity of personal connections. That said, where multimedia mixed results make the new Twitter Web search feel almost like rich Google Universal search, Facebook’s emphasis on location- or suggestion-based search phrases make Graph Search feel more discovery-oriented and reminiscent of the recently-upgraded Google Maps App experience. You can try out the Facebook Open Graph search functionality today with an active personal profile or business Page, but – unless you’re one of the random few who currently have access – you’ll have to wait an undisclosed amount of time to try our the new refocused Twitter Web search.